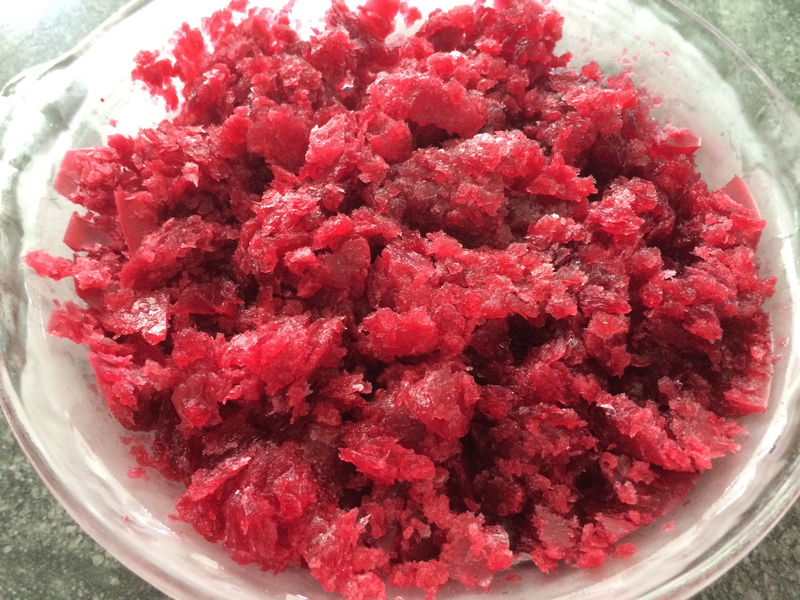 This week my dad sent me this link to a Wall Street Journal article on granita, described as an Italian snow-cone, granulated sorbet. I found this recipe and decided to give it a go. First, I mixed water and sugar over medium-low heat. 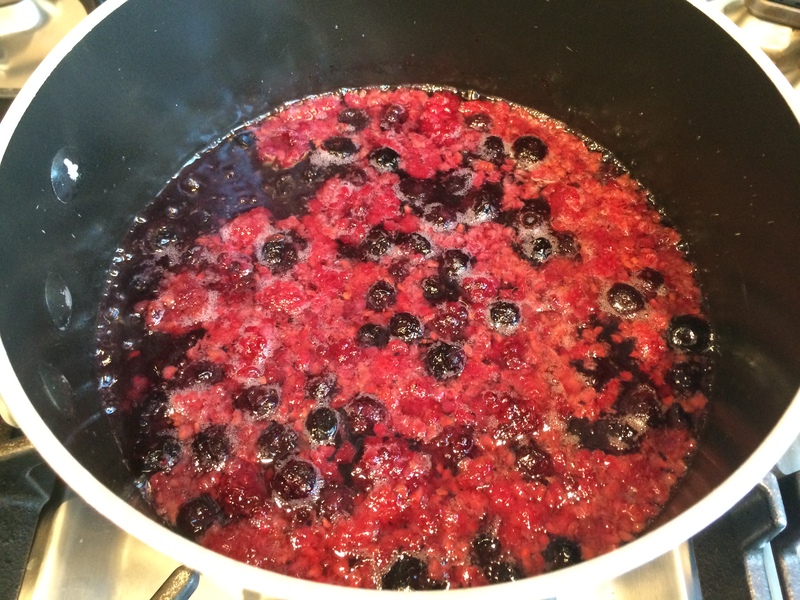 Then I added frozen berries and let it come to a simmer. 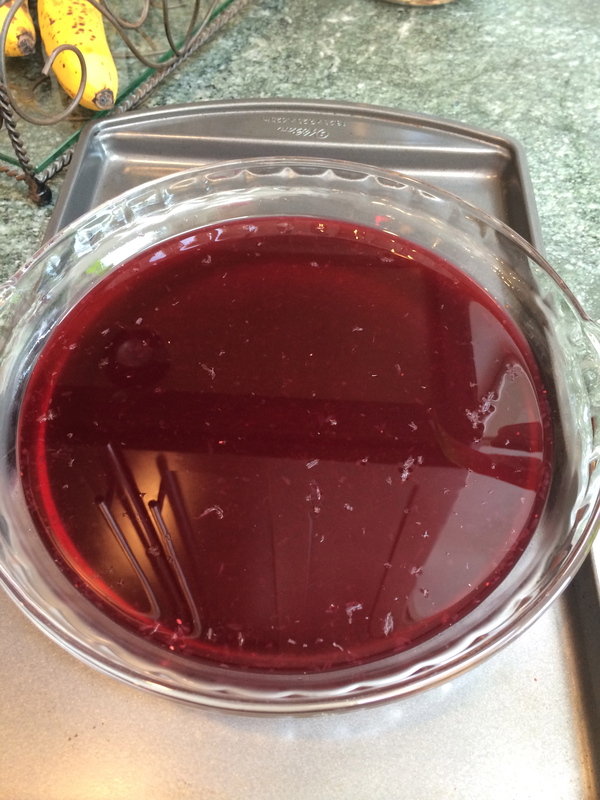 Then, I strained the whole mixture, and once it cooled I added some lemon juice. Then into the freezer it went for several hours. After about 2 hours, I took it out and scraped it up with a fork. Then back into the freezer. 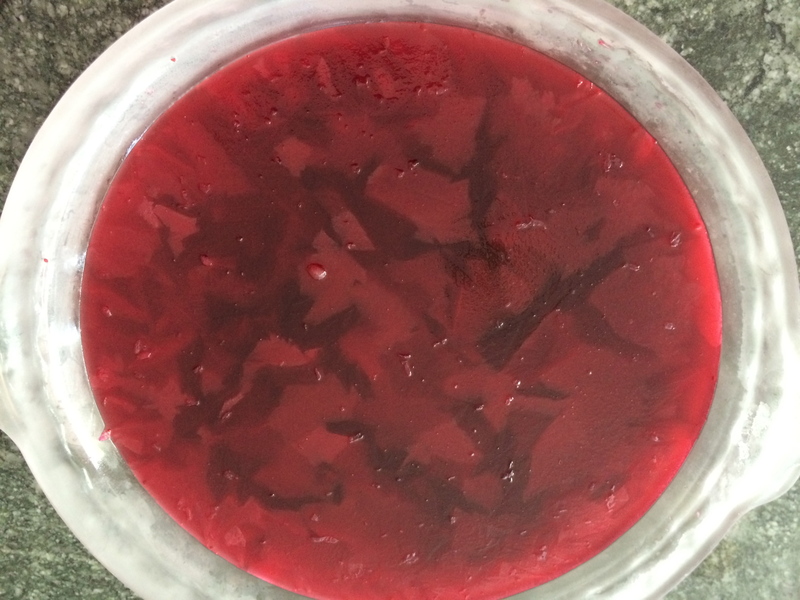 I repeated the scraping a few more times and let it just sit in the freezer. And here is the final product. 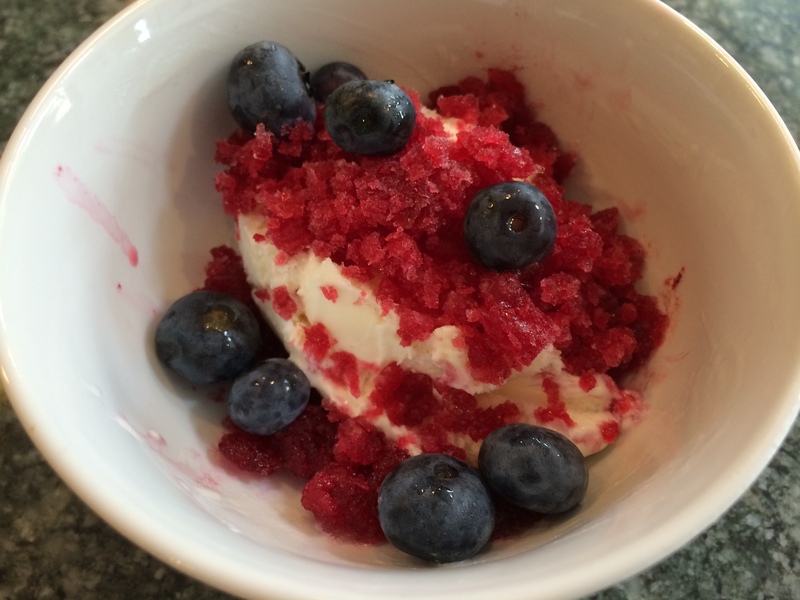 I topped a scoop of vanilla ice cream with some of the bright red granita and then a handful of fresh blueberries. It was sweet and refreshing. The combinations of textures was great, and the extra tartness from the fresh blueberries paired well with the creaminess of the ice cream and sweet granita. A perfect summer treat.